When it comes to digitized newspapers on genealogy websites, Findmypast is a clear headliner. The site already hosts millions of U.S., British, and Irish newspaper pages–and their British collection is about to DOUBLE. Extra, extra, read all about it! 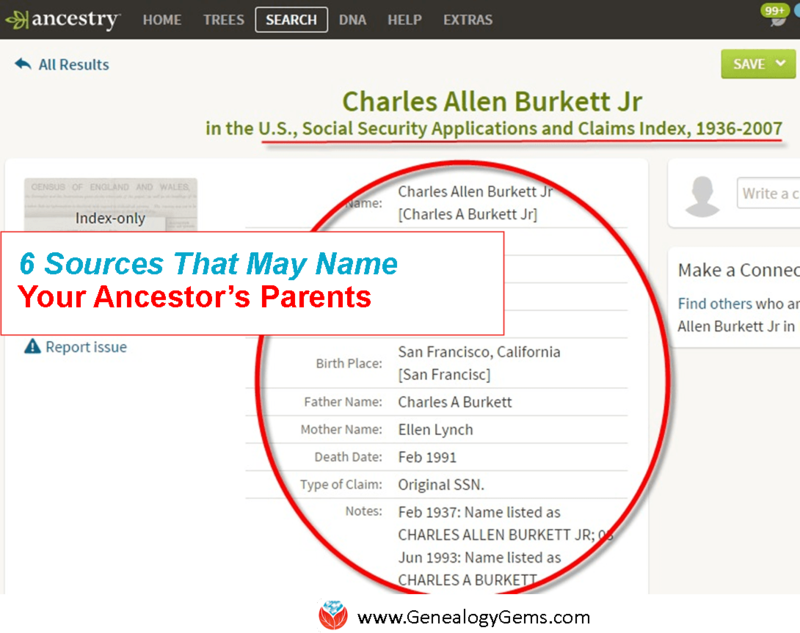 Here at Genealogy Gems, we regularly compare features of leading genealogy websites, or as we refer to them, the “Genealogy Giants:” Ancestry.com, FamilySearch, Findmypast and MyHeritage. Today’s topic: digitized newspapers. It may surprise you to hear that digitized historical newspapers aren’t a big part of the collections at all four giant genealogy websites. In fact, only one site–Findmypast–offers access to millions of exclusive British and Irish newspaper pages and a major U.S. newspaper database (which is usually just available at libraries). Why mention it now? Because a good thing just got better: Findmypast plans to double its British newspaper content over the next two years. Findmypast’s enormous genealogy collections focus on the countries of England, Scotland, Ireland, and Wales. 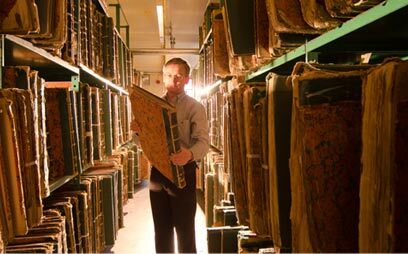 Findmypast and The British Library have been working together for several years on The British Newspaper Archive, now home to more than 22.5 million newspaper pages dating from the 1700s. But what many people might not realize is that these same newspaper pages are also available to Findmypast subscribers. Original bound newspaper volumes at the British Library. Image from The British Newspaper Archive. And it gets better. Findmypast just announced that over the next two years, it will nearly double its digitized newspaper collections! It is scanning over 12 million pages from the largest private newspaper collection in the UK: the Trinity Mirror archives. Over 150 local papers from across the U.K. are included. These pages have never been made available online, but will be on both The British Newspaper Archive and Findmypast. The project is already underway and moving along rapidly: up to 100,000 pages per week. TIP: If you are interested in accessing British newspapers, but not needing the full range of genealogy resources offered at Findmypast, consider purchasing PayAsYouGo credits from Findmypast. You can purchase 60-900 at a time and “spend” them to view individual search results, including newspapers. You can also subscribe separately to The British Newspaper Archive. FamilySearch: Millions of indexed obituaries are searchable by name on its free website, but it doesn’t generally offer any digitized newspaper pages. 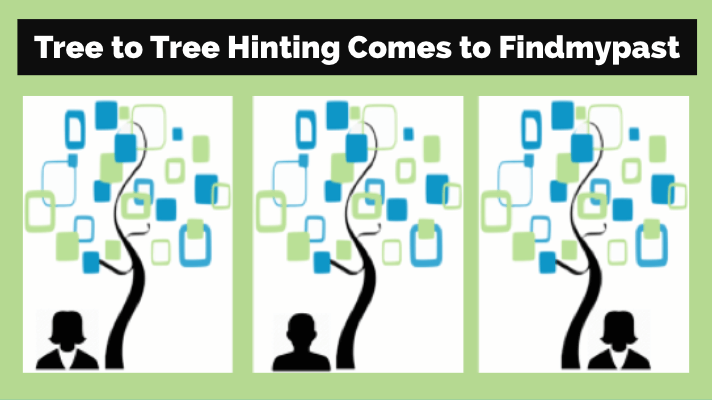 Of its billion+ historical record images, FamilySearch prioritizes more “core” genealogical records, such as vital records, censuses, and passenger lists. 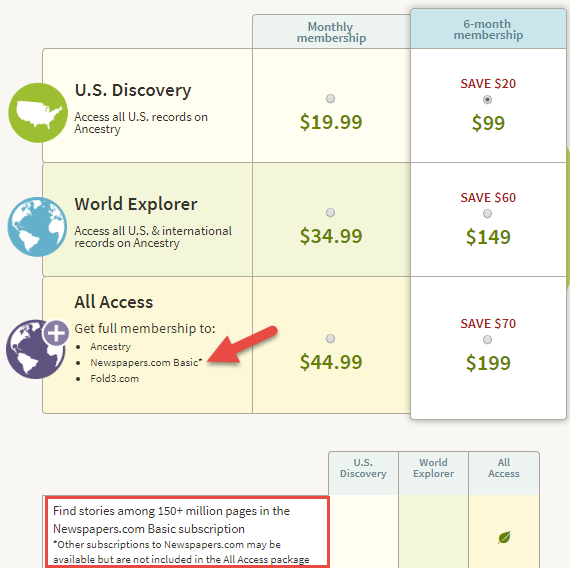 MyHeritage.com: This site used to have access to NewspaperARCHIVE, the same U.S. newspaper database Findmypast currently offers, but it doesn’t now. It’s got new collections of Ohio (4.5 million pages from 88 sources) and New York (1.9 million pages from 56 sources) newspapers and access to the Jewish Chronicle [England]. But the bulk of its newspaper search results come from searching two other websites: Chronicling America and Trove, run by the national libraries of the United States and Australia, respectively. While it’s convenient to search them from MyHeritage if you are already using it, it’s not a reason to subscribe, as you can use those sites for free. 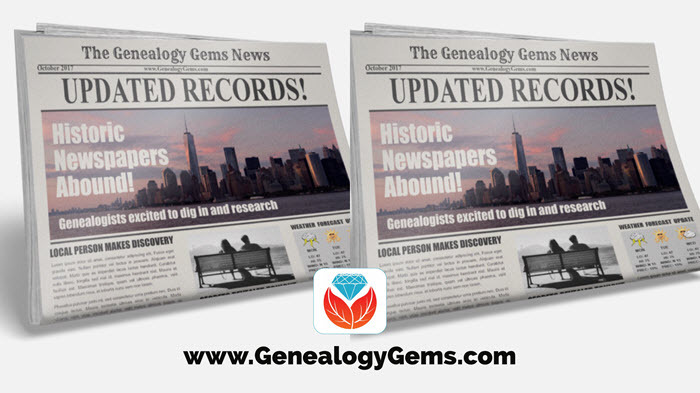 Genealogy Gems is your home for ongoing coverage and insight into the four ‘genealogy giants’ websites. Click here to learn more and to watch the RootsTech 2017 world premiere of my popular lecture that puts these big sites head-to-head. Genealogy Gems has published my ultimate quick reference guide, “Genealogy Giants: Comparing the 4 Major Websites.” It distills that hour-long lecture (and I was talking fast!) into a concise, easy-to-read format that will help you know which websites are best for you to use right now. Disclosure: This article contains affiliate links and Genealogy Gems will be compensated if you make a purchase after clicking on these links (at no additional cost to you). Thank you for supporting the free Genealogy Gems podcast and blog! Why was Genealogybank.com not compared? I find it easier to use and for my areas of research it has been the best! Hi Larry, Good question, since they are so important when it comes to newspaper research. 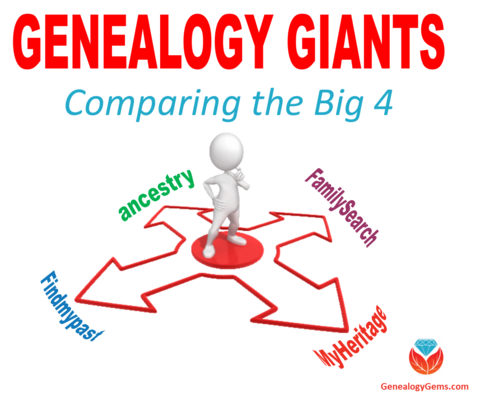 My comparisons often focus on the “all-purpose” genealogy websites we refer to here at Genealogy Gems as the “Genealogy Giants:” Ancestry.com, FamilySearch.org, Findmypast.com and MyHeritage.com. Of these multipurpose research sites, Findmypast has the largest exclusive collections of newspapers. But I appreciate the suggestion to compare newspaper sites to one another and you may see something like that from us in the future. For days, nearly weeks now, I have not been able to download US Newspapers. I have never been able to “view” them, hence my only possibility is to download them. Now this is not possible.